When James Sta Ana and his mom Glesilda Chui moved to the United States from the Philippines, they didn’t let the culture shock of a new environment slow them down. 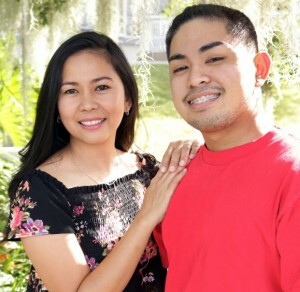 While waiting for an Employment Authorization Document (EAD), James finished high school and he and Glesilda stayed busy volunteering at the St. Petersburg Public Library’s main branch. There they attended seminars held by Goodwill’s Job Connection Center while acclimating themselves to their new home. When the EAD cards came, both James and his mom paid a visit to the Job Connection Center’s main location inside the Goodwill Superstore in St. Petersburg for more assistance. There they both got help with resume writing, job searching and interview techniques. Both James and Glesilda landed jobs soon after soaking up all the information they could at the Job Connection Center. James is a cashier and works the floor at a Beall’s Outlet store, and Glesilda works two jobs, one teaching preschool and another in retail. To make a financial donation to help others like James and Glesilda, click HERE.